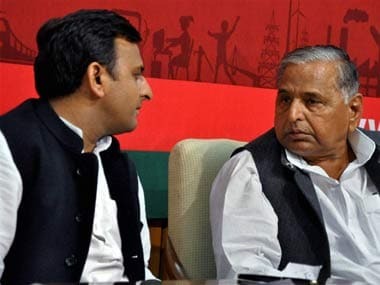 For the second time this year, an ugly rift in the Samajwadi Party has caused commotion in Uttar Pradesh, a state headed for Assembly polls in a few months. The rift has definitely dented the image of the ruling party in the state as opposition parties are alleging that that the government is more interested in family matters than the welfare of the people of the state. Rumours about a split in the party are still abound because we have all heard the "everything is fine" quote from SP leaders many times now. 1. Shivpal sacked from UP cabinet: The entire crisis in the Samajwadi Party intensified yet again when Chief Minister Akhilesh Yadav on Sunday sacked his uncle Shivpal Singh Yadav from his cabinet. Three other ministers close to Shivpal were also sacked from the cabinet. 2. Ram Gopal Yadav sacked from SP: In response to Shivpal being sacked from the SP, the party supremo Mulayam Singh Yadav sacked Ram Gopal Yadav, a close aide of Akhilesh and the then general secretary of SP, from the party for six years. 3. Akhilesh Yadav's emotional speech: On Monday, addressing the SP workers at the party office in Lucknow, Akhilesh almost broke down and said that he had always been loyal to father Mulayam. He also said that he did not intend to form a new party and some people in SP were conspiring against him. 4. Shivpal's nasty response to Akhilesh: In response, Shivpal said that Akhilesh had earlier told him that he was indeed planning to form a new party. He even interrupted the chief minister when he was talking later and called him a liar in front of all the party workers. 5. Mulayam, the 'baap of goondagardi', sides with Shivpal: Even though Mulayam said that he was hurt by this rift in the party, he clearly sided with Shivpal when he said that a leader needs to be tolerant to criticism, referring to Akhilesh. He also said that Amar Singh was like his brother and urged Akhilesh's supporters not to create uproar because he was the "baap" of "goondagardi". 6. Shivpal likely to be back in cabinet: On Tuesday morning, news reports said that CM Akhilesh Yadav was going to take Shivpal and the other three sacked ministers back into the cabinet, in the first sign of reconciliation in the party. 7. Ram Gopal says Mulayam is jealous of Akhilesh: In an unbridled attack of the faction against Akhilesh, sacked party leader Ram Gopal Yadav said that Mulayam was jealous of Akhilesh because the chief minister was a more popular leader in the state than the SP surpemo. He also spoke against Amar Singh, stressing on how Singh had spoken against Mulayam after leaving the party earlier. 8. Beni Prasad likely to replace Ram Gopal : Reports are now saying that Beni Prasad Verma, who had rejoined the party in 2016 after nine years, was likely to replace Ram Gopal Yadav as the party general secretary. 9. Amar Singh: Even though Akhilesh had demanded that "outsider" Singh be sacked from the party, Singh himself has been mostly silent on this rift so far. He did, however, say on Monday that even though Akhilesh was a "fantastic" chief minister, he needed time to become a mass leader. 10. 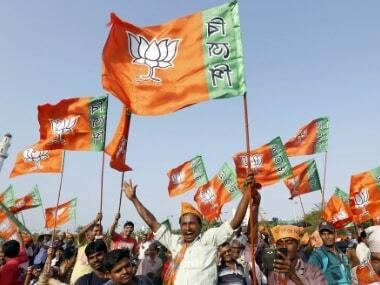 Effect on UP polls: Many political analysts and experts have said unless the SP is able to solve this crisis fast, it is headed for a debacle in the upcoming Uttar Pradesh Assembly election. 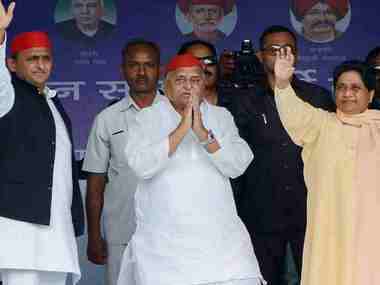 Opposition parties like BJP, BSP and Congress have a lot to gain if this rift widens.